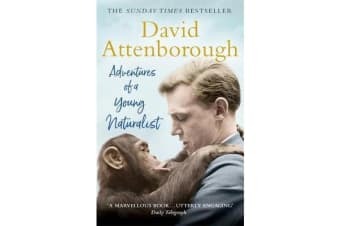 In 1954, a young television presenter named David Attenborough was offered the opportunity of a lifetime – to travel the world finding rare and elusive animals for London Zoo’s collection, and to film the expeditions for the BBC. Now ‘the greatest living advocate of the global ecosystem’ this is the story of the voyages that started it all. Staying with local tribes while trekking in search of giant anteaters in Guyana, Komodo dragons in Indonesia and armadillos in Paraguay, he and the rest of the team battled with cannibal fish, aggressive tree porcupines and escape-artist wild pigs, as well as treacherous terrain and unpredictable weather, to record the incredible beauty and biodiversity of these regions. The methods may be outdated now, but the fascination and respect for the wildlife, the people and the environment – and the importance of protecting these wild places – is not.